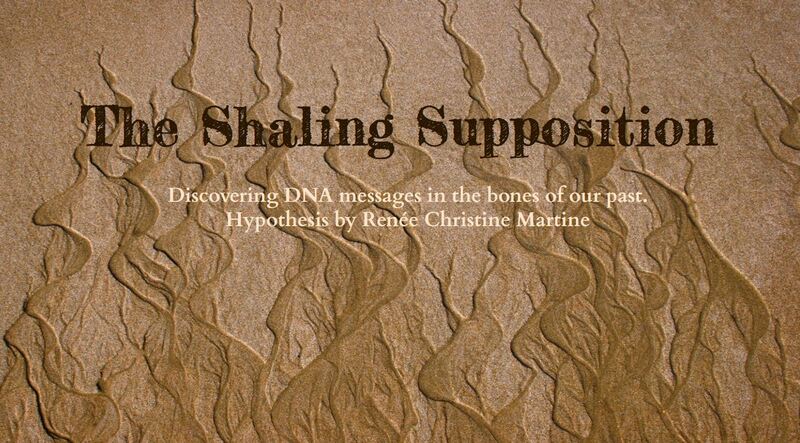 The Shaling Supposition—WHY does DNA reside in our bones after death? This theory is one in which I have personally pondered over since I was a little kid (not any great detail). It is my intention of looking closely at past life as a result of present life through scientific and metaphysical practice and application. DNA and bones are the only proof of existence—and just maybe earths very own worm hole to reincarnation. This theory may be discussed but not duplicated in anyway without the express permission of Renee C. Martine. For further information about The Shaling Supposition, please refer to the CONTACT page and put in the body or title: Shaling question. I hope you will follow me along in this great adventure, to find and procure evidence that we are all having reoccurring lifetimes on this planet. To learn more about the Supposition in detail —> SUPPOSITION | NOTE: This page is password protected. Please go to CONTACT page and email me your interest to get code.